It is top versus bottom in Group F on Friday night as the team with a 3-1 record hosts the team with a 1-3 record. 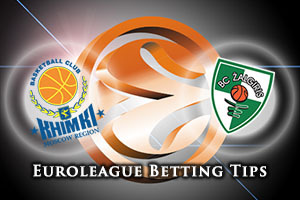 This is the first time that these two sides have clashed in close to three years and it will be a special game for Khimki head coach Rimas Kurtinaitis, who played for Kaunas in the 80s and 90s. One of the most obvious reasons behind the success of Khimki so far this campaign has been their aggressing play, backed up by the fact that the team rank first steals with an average of 9.25 steals per game. Zoran Dragic, Tyler Honeycutt and Alexey Shved have all played a big role in putting the Moscow side at the top of the group at this early stage of the campaign. James Augustine is another player who has had a big campaign for the hosts so far this season and if he can deliver a good performance on Friday night, the hosts will feel confident about remaining top of the league. The away team comes into this low on wins but surprisingly high in a number of ranking aspects in the Top 16. Kaunas are the leaders with respect to two point shots made in the Top 16, with a total of 93, and their 85.3% return on free throw shooting is also the best in the Top 16. With this in mind, you would maybe expect the team to be ranking better in Group F but with a logjam of teams just ahead of them, it won’t take Kaunas too long to rise up the table if they can put a few wins together. It looks as though the hosts back the Moscow team to stay at the top of the group by the time the weekend is here. 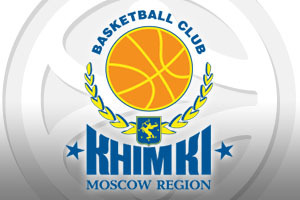 You can back Khimki Moscow Region at -10.5, which you can find with odds of 1.90. Anyone looking to get involved with the Over/Under market for this game should be looking to go OVER 154.5, which you can find at 1.90. Bet Now!